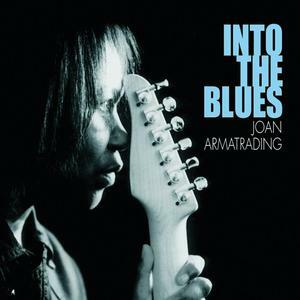 On the surface, yes, this is a blues album; mostly, though, it's a Joan Armatrading album--which means she'll follow blues forms and conceits wherever she damn well pleases. On "Liza," she takes the "Mannish Boy" groove across the tracks for a pick-up on the wrong side of town; on "There Ain't a Girl Alive (Who Likes to Look in the Mirror Like You Do)," she dresses down a rival; on "Play the Blues," she simply undresses herself to a juicy, contemporary soul groove; and on "Mama Papa," the album's finest and funkiest moment, she recalls her youth on the island of St. Kitts in lines that flash with truth: "Seven people in one room/No heat/One wage/And bills to pay." It's also a guitar album: her blues chops, especially on the sprawling closer "Something's Gotta Blow," would give Robert Cray a serious run. Fiery as her playing can be, her blues riffs are mostly economical, concise, with evocative spaces between the notes. The same can't be said for the overall production values. Armatrading is still enamored with slick gimmicks: doubling and tripling her vocals and adding layers of echo on top of that, and synth pads and distortion that feel more bombastic than bright. Into the Blues is far from a return to form, but it still sends a tough, funky message.